1990's. 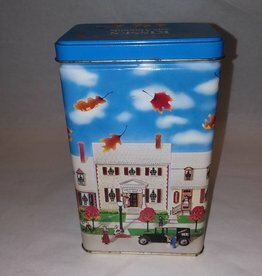 Hershey's Kisses w/Almonds collectable tin. Hometown Series #6. 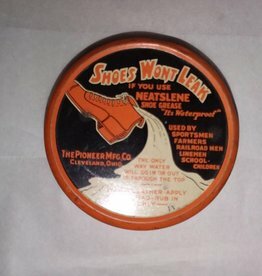 4"x7"x2.5"
m. 1900's. 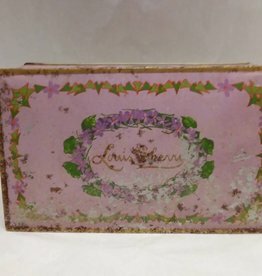 Louis Sherry candy tin. Hinged & weighted top. 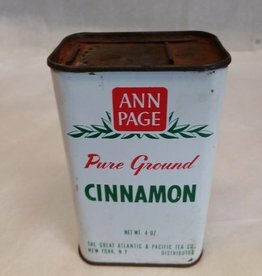 Manufactured by New York Candy Co. (CANCO). 8" x 4 7/8" x 2 1/2"
1982. 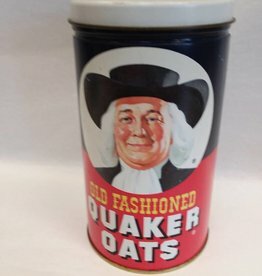 Reproduction Quaker Oats Round Tin. 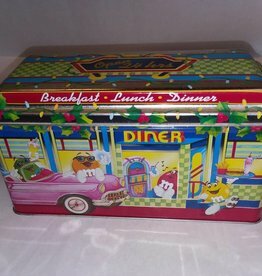 4.25" x 7.5"
1996, Tin depicting roadside diner, M&M Peanuts container, M&M's Brand Christmas Village Series. #4. Limited Edition. MARS Co. 8.75x3.75x4.75"